Artist Showcase: Reborn with Me! https://t.co/0N8XGutjHA via @YouTube A MOST WATCH..AND SUBSCRIBE CHANNEL! Hi! My name is Kim. I am the owner and founder of Custom Doll Baby, Inc. and my website, CustomDollBaby.com. 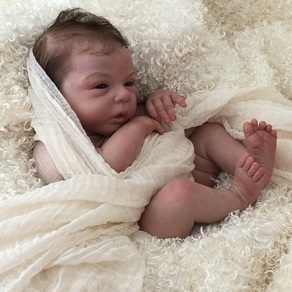 Here at CustomDollBaby.com, I create hand-crafted baby dolls that look and feel like real babies. Also known as "reborn" baby dolls, these lifelike babies are meticulously painted, rooted and assembled to be as real as possible. 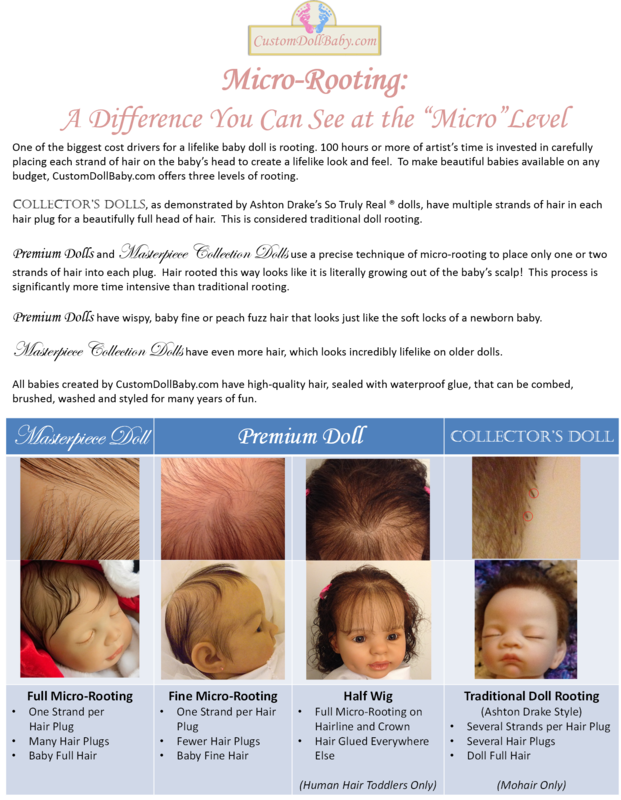 It takes 60 to over 100 hours of detailed handiwork to create a reborn doll. Lifelike skin features such as mottling, veins and blushing bring the doll to life. Then hair is micro-rooted one or two strands at a time to give the baby a soft and natural head of hair. High quality weighting materials are carefully distributed within the doll to feel just like a floppy newborn in your arms. This time has already been invested in each of the babies in my Ready-to-Adopt collection. Ready-to-Adopt babies are complete and ready to be shipped with a box full of goodies. When I'm busy with custom orders, my Ready-to-Adopt collection sells out quickly. So if you don't see any available now, sign up for e-mail updates so you'll be among the first to know when a new baby is ready! I am proud to create Lifelike Portrait Dolls - dolls made to look like a picture of your child. My Portrait Dolls achieve high resemblance to the real baby because I select from over five hundred high-quality doll sculpts created by world-renown sculptors like Donna RuBert and Denise Pratt. Once your baby's "best match" sculpt has been identified, I carefully hand-paint the doll to match the baby's complexion, expression and unique skin features like birthmarks. I hand-root hair to match your baby's hair color, texture and hair growth pattern. I bring your favorite baby picture to life! I also accept orders for Custom Reborn Dolls. From hair color to eye color to mood, I custom design your baby to your specifications. Create your ideal baby doll today! 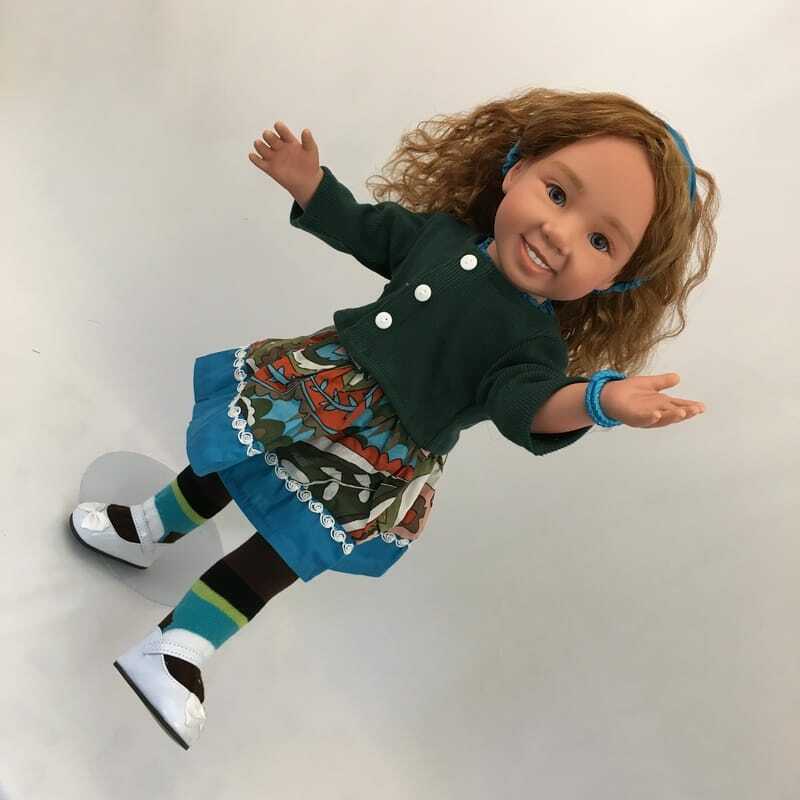 Finally, I'm pleased to offer Kim's CustomKids, adorable 18" American Girl compatible play dolls for the young doll lovers in your life. Choose from seven faces, three complexions, ten hair colors and a hundred hair styles to customize a doll that looks just like your child! Get a commitment-free quote for your CustomKid today! I understand that a lifelike baby doll is an investment. I offer Flexible Pricing and Payment Plans to fit most any budget. My Custom Doll Designer gives you the flexibility to create a baby with as little or as much detail as you prefer. Get an estimate of how much your doll baby will cost in my quoting application today! Visit my Doll Gallery to see babies I have created or are still in progress. To learn more about how these incredible dolls are made, check out My Babies in Progress or enjoy an article on my continuously growing Reborn Doll Artist Tips and Tutorial Library. I love teaching new artists How to Reborn and showcasing the work of those who Reborn with Me! Thinking of becoming a reborn artist? Consider taking one of my courses and joining me for free on YouTube!